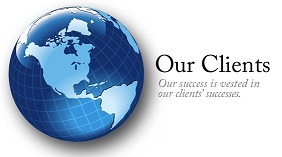 Customers | JB Management, Inc.
We place a special emphasis on forging long-term relationships with our customers. Our exceptional reputation for providing extraordinarily flexible and tailorable support solutions that evolve with the customer’s changing requirements has made us a trusted partner with our clients. JBM has proven that, regardless of the environment, we provide world-class support to our clients to enable them to succeed no matter what the mission.